The UK Driving Licence and The History of Driving. All about the UK driving licence. Cars, nowadays, are so taken-for-granted. But have you ever wondered how the UK driving licence came about? Or how the system of driving and road safety that we have today developed? By 2007, there were around 35 million vehicles on Britains roads. It's hard to imagine a time when there were no cars. And, yet, the car only appeared, in any reasonable number just over a hundred years ago, at the beginning of the 20th century. It's amazing how far cars and driving have come in such a short time! If you're at all curious about how it all happened, we can tell you here. We've designed this section to put cars, driving and road safety into historical context, and to give you some up-to-date information on some subject areas that are relevant to the driving licence in the UK. Have a browse and find out how it all developed to become what we live with today. Here, you'll find info. 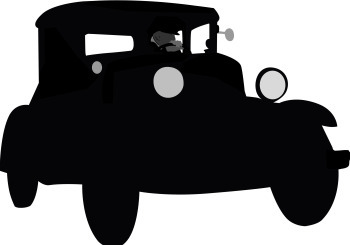 on the History of Driving and a section about Why We Drive on the Left? The above sections look at the historical development of some aspects of our driving licence, as well as giving you some up-to-date information on each area. Focussing on wholly up-to-date info., we've included a few other sections. For anyone who wants to know, there's guidance on how to apply for a UK Driving Licence , a section about the New Drivers Act , as well as an explanation of endorsements and penalty points in the UK. We hope these pages help to make everything about the history of driving a bit clearer, and also help to give you a bit of advice on some common queries about the current driving licence.